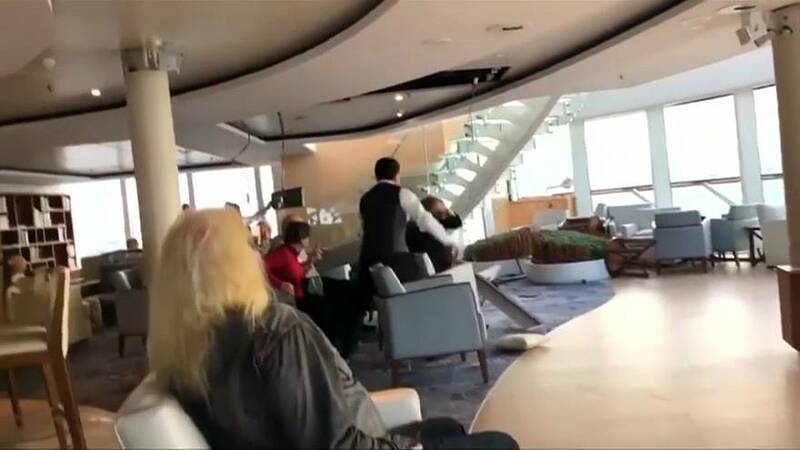 The engines of a luxury cruise ship that narrowly escaped disaster during a storm off Norway on Saturday (March 23) failed because of relatively low levels of lubricating oil in the engines, the Norwegian Maritime Authority said on Wednesday (March 27). The Viking Sky, with almost 1,400 passengers and crew aboard, sent out a mayday signal on Saturday as it drifted in rough waters in the Norwegian Sea to within 100 metres of land. All four engines failed but crew managed to restart one of the engines just in time. The heavy seas probably caused movements in the tanks so large that the supply to the lubricating oil pumps stopped, said Lars Alvestad, Norwegian Maritime Authority Acting Director. This triggered an alarm indicating a low level of lubricating oil, which in turn caused an automatic shutdown of the engines.